One third of children will fall and hurt their front teeth by the age of six. You should know what to do when they do. 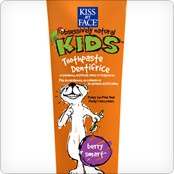 At times, we may recommend you purchase a particular product as part of your child’s dental treatment. Click on a product below to visit a site where you’ll be able to purchase that product. To find out whether we offer a product in our office, please contact us. 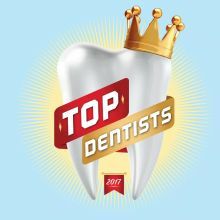 ﻿This toothpaste provides the perfect bookends to your daily 6 grams of xylitol that dentists worldwide recommend to help stop tooth decay. 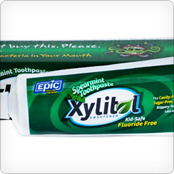 This toothpaste has 31% xyiltol and uses no sodium lauryl sulfate. 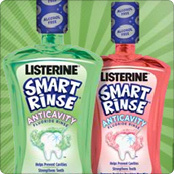 It’s great for preventing tooth decay, plaque, tartar, and pursed lips. FlexCare+ motivates brushing for improved gum health. 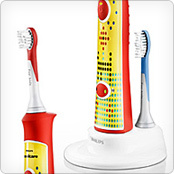 It’s specifically designed to motivate consistency with their home brushing habits. 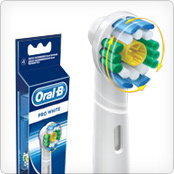 It offers an advanced gum care mode that help make it easier to brush longer. With its kid-friendly features for more effective brushing, Sonicare For Kids delivers superior results through every brushing phase. 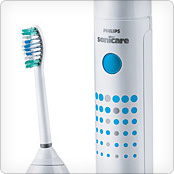 ﻿Sonicare Xtreme is the battery-powered sonic toothbrush that is clinically proven to have superior plaque removal versus a manual toothbrush. HealthyWhite features a dedicated whitening mode that removes everyday stains, resulting in a brighter, whiter smile. 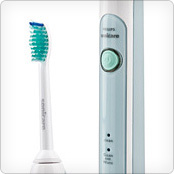 Designed for daily use, this brush delivers an extended 30 seconds of whitening power through its unique brushing motion. 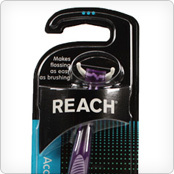 The Reach Access Flosser is a flossing solution that works like a toothbrush in that it enables access to hard-to-reach places. It also has convenient, disposable snap-on heads. 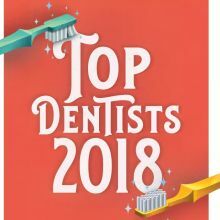 ControlRx dentifrice therapy provides; caries reduction, protection from root surface caries, low abrasivity, enhanced remineralization, refreshing vanilla-mint and berry flavors. It is only available as a prescription. 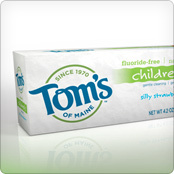 This fluoride-free toothpaste contains Hydrated Silica for some mild abrasive quality, Aloe Vera for healing and soothing, and Stevia Rebaudiana — a natural, sugar-free sweetener﻿. 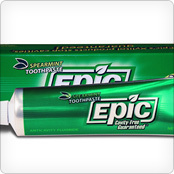 This toothpaste contains Hydrated Silica for some mild abrasive quality, Aloe Vera for healing and soothing, and Stevia Rebaudiana — a natural, sugar-free sweetener﻿. Silly Enough for Kids – Serious Enough for Moms! Give your kids the only natural kid’s toothpaste to earn the ADA Seal of Acceptance. 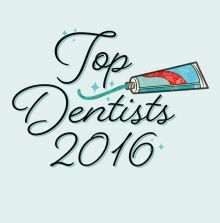 That means proven effective, cavity fighting protection you can trust. 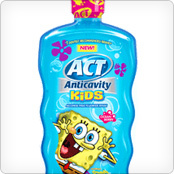 Plus, it has an all natural fruit flavor your kids will love to brush with again and again! This medication is used along with regular tooth brushing/flossing to treat gingivitis, a gum disease that causes red, swollen, and easily bleeding gums. Chlorhexidine belongs to a class of drugs known as antimicrobials.﻿ This item is available by prescription only. 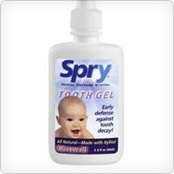 This gel is fluoride-free, safe for infants, all natural (no GMO’s), used daily to defend against decay, and sweetened with all-natural Xylitol. Individually packaged wipes, no drying out and each wipe delivers exactly the ingredients needed to help reduce childhood cavities. No puddling or drying out at the bottom of the pack with these! 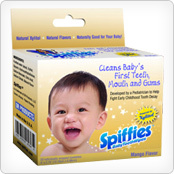 Spiffies are made in the US. 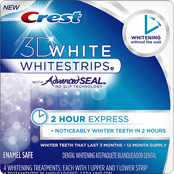 Select from a variety of teeth whitening systems from Crest to fit your specific needs. 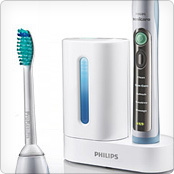 These systems are formulated with the same enamel-safe whitening ingredient dentists use. 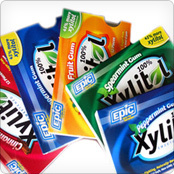 Available flavors are Real Cinnamon, Fresh Fruit & Natural Peppermint flavors or Natural Spearmint Flavors.﻿ Each piece of Epic xyltiol gum contains 1.06 grams of xylitol – the most of any xylitol gum on the US market. 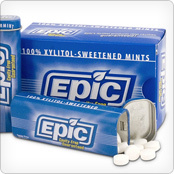 Sugar-free and sweetened exclusively with xylitol, Epic’s Mints give a little kick to your daily 6 grams of xylitol that dentists worldwide recommend to help stop tooth decay.﻿ Available flavors are Cinnamon, Fresh Fruit & Peppermint flavors. 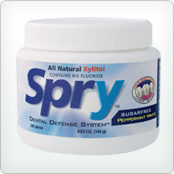 Spry Gum with xylitol is part of the Spry Dental Defense System and is free GMO’s and sugar. Available flavors include peppermint, spearmint, cinnamon, fresh fruit, and green tea. 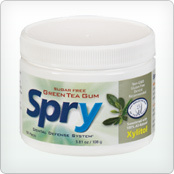 Spry Mints with xylitol are part of the Spry Dental Defense System. 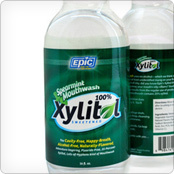 Available flavors include peppermint, spearmint, and raspberry.